Went to Hagerman for 2nd Sunday meeting of the League – Hazel Hanson and “Shorty” Miller were there through not together – I went with Johnston’s! 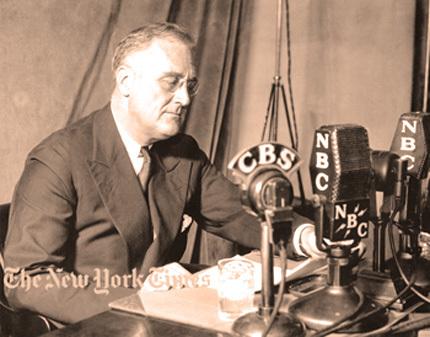 President Roosevelt has his 6th Fireside Chat – tonight’s topic Government and Capitalism. 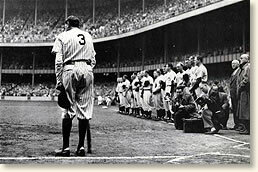 The St. Louis Cardinals clinched the National League pennant on the final day of the season when the New York Giants were eliminated by losing to the Brooklyn Dodgers 8-5 in ten innings. 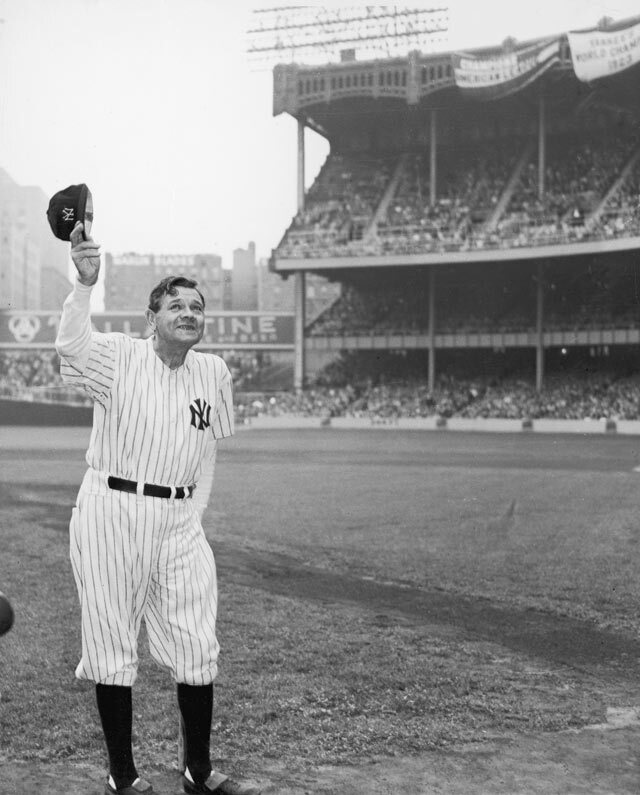 Babe Ruth played his final game as a Yankee, going 0-for-3 at Griffith Stadium in Washington during a 5-3 loss to the Senators. and Today was the day to Fall Back for Daylight Savings Time. Finally got my check after waiting as long to get a doctor’s certificate! Dumb bunny me! Mrs. Martens and I practiced as Miss Garrets’. Went to A.A.U.W. Tea at Harriet Poorbaugh’s. Saw Helen Snipes painting the head of a Mexican Boy! No post today. 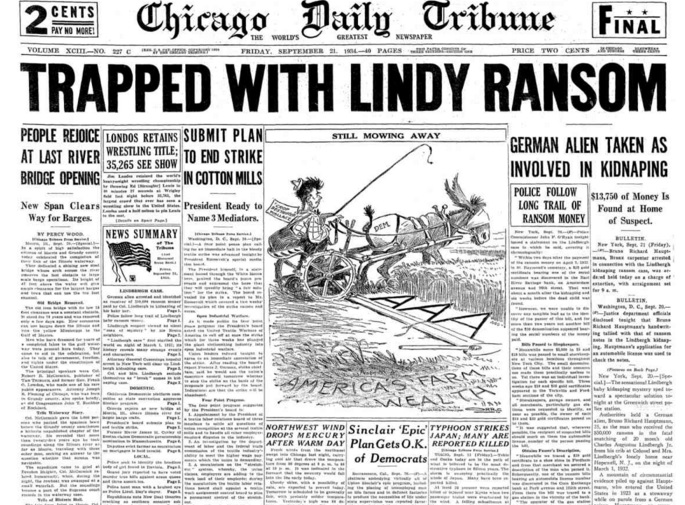 She takes up her pen again tomorrow to let us know what is going on 80-years-ago in Roswell NM. 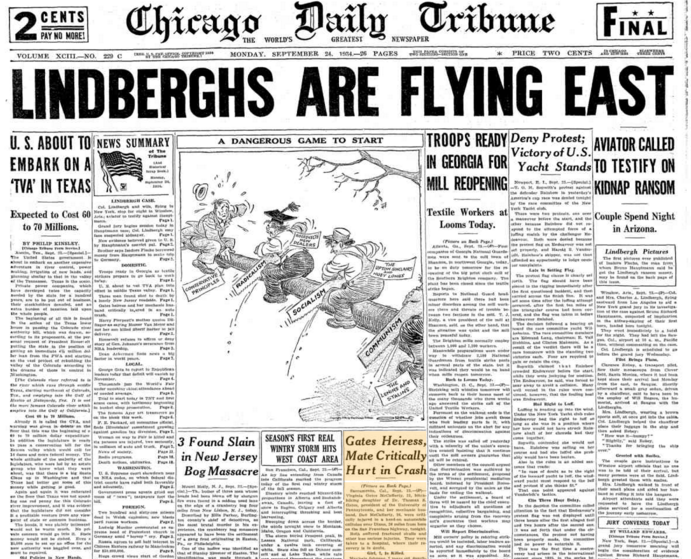 Also 80-years-ago -even after a 2-year investigation the nation was still thouroughly compelled by the Lindberg case. Law enforcement went to Germany and searched the suspects child-hood home. The Winwick rail crash killed 11 people in Cheshire, England. Limerick defeated Dublin in the rematch of the All-Ireland Senior Hurling Championship Final. 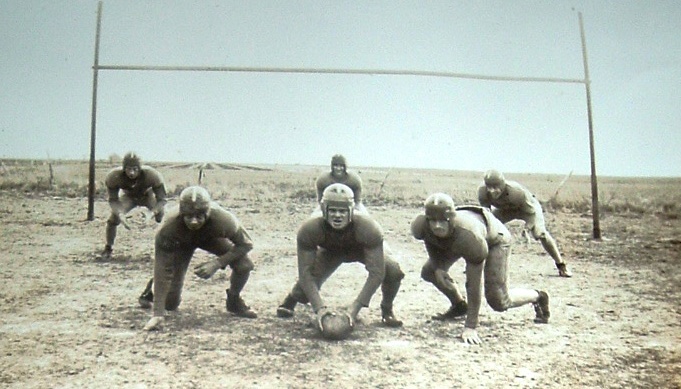 The first six-man football game was played in Hebron, Nebraska. September 27, 1934 – addressing the Herald Tribune Women’s Forum on Current Issues, warned against listening to the rumor mongers, alive and well and thriving in Washington. Addressing the age-old persistence; rumor mongers. No Post today. She has her dream job of teaching in Roswell and playing the organ at work but is still caught up in the rush of her summer romance. Still to come – why she almost went mad on Halloween! The RMS Queen Mary was launched into Glasgow‘s River Clyde in the presence of King George V and the ship’s namesake, Queen consort Mary of Teck. It was the largest ship in the world at the time. Afghanistan was admitted to the League of Nations. NEWPORT, R.I., Sept. 25. 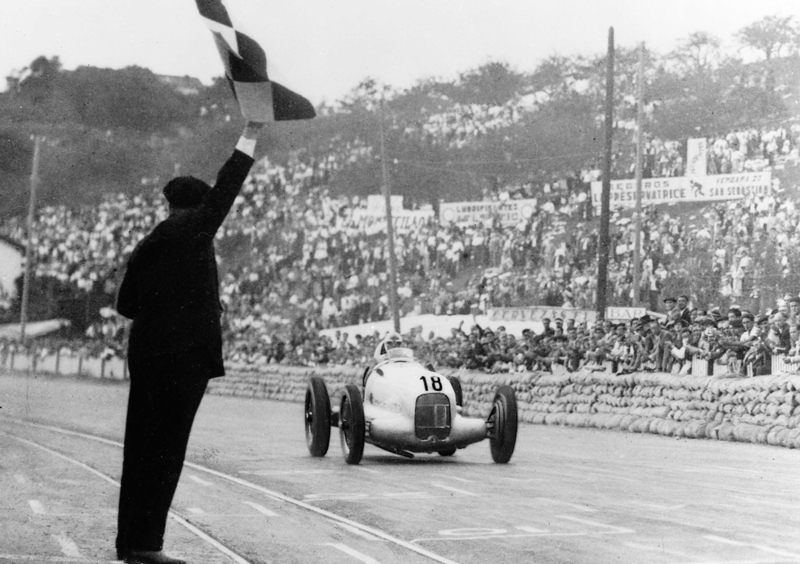 — The America’s Cup will remain in the United States. The most bitterly contested series of races for the famous old yachting trophy ended today when Rainbow, the defender, boiled over the finish line fifty-five seconds ahead of Endeavour. 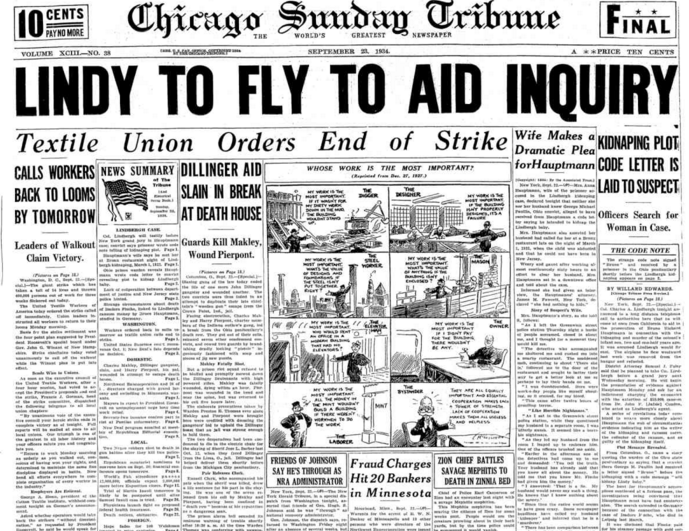 Here is what else was happening 80-years-ago. 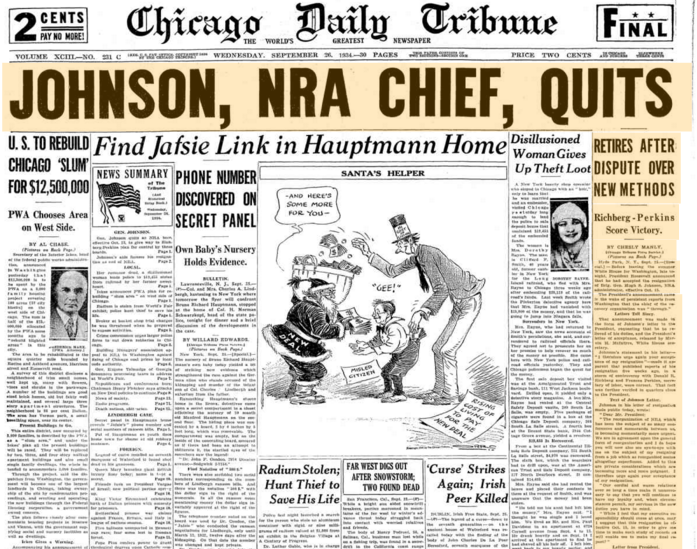 Hugh S. Johnson resigned as head of the National Recovery Administration. King Victor Emmanuel III of Italy announced an amnesty for all Italians imprisoned for two years or less, in celebration of the birth of Princess Maria. No Post today. She is teaching 8th grade in Roswell NM and is playing the organ at church. She should be perfectly happy but is not. More adventures to come. We will find out where she will spend Thanksgiving and with whom. No Post today. She is probably playing the organ in church today. Still ahead she comes home one October night to find strangers in her room! So you have obviously figured out that my grandmother was a big part of my life. Many of my earliest memories are playing cards with her or listening to The Billy Goats Gruff – my favorite story that she read to me daily. You see, I went to her house every day after pre-school while my mother went to college. Actually, I went to her house regularly up until I could drive because she lived in a great neighborhood and we lived 7 miles out of town in the country. Her house was much more fun! Even though my children only met her as babies, I must talk about her quite often. Below is a story my daughter wrote in fourth grade. Her promt was – something suddenly woke you out of a deep sleep, tell what happens next. I was brought to tears when I read it – knowing grandma is still with us – being passed down through memories and stories. Whoosh! Whoosh! That was the sound of a mysterious balloon landing in the front yard on top of my mom’s florescent flowers. For starters, it was very early on a Monday morning when I heard sounds in the wind and leaves cracking in my front yard. I didn’t want to stand-up and take a glimpse out my window but my legs forced me. I slowly wobbled like a penguin, over to my window. “WOW” I had whispered. Right in front of me was a gigantic neon hot air balloon! I quickly galloped over to my closet and threw on a neon green top with jean shorts, then ran down my curvy steps. I sneaked past my mom and dads room and out the door. I jumped into the chocolate brown basket and pulled on a snowy white rope. Next thing I knew, I was in the bright blue morning sky. Out of nowhere I heard a rustling in the wind. I thought it was only the balloon so I dismissed it. Next I saw something as thick and puffy as a cloud. I became a little worried. Then I felt a hand on my shoulder and I was terrified. I shakily turned around. There stood, right in front of me, God himself! He told me to explore. So I did what he told me. You won’t believe who I found! I found my great-grandma there. She showed me around and we played board games together. I forgot I was in a balloon until it popped and I landed in my bed. To wrap up, I had an awesome adventure in heaven. I feel happy that I hopped in the balloon. I learned the route of (to) heaven. I hope I will be able to visit again soon. Ludwig Müller was proclaimed the supreme head of the German Protestant church at the Berlin Cathedral, despite hundreds of opposition pastors denouncing him from their pulpits. Luigi Fagioli won the Spanish Grand Prix. No Post today. She is wrapping up her first month of teaching 8th grade in Roswell and still waiting to receive a letter from Carsey. Things really pick up in October including her social life and her letter writing! 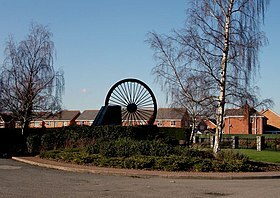 The memorial at Gresford Heath, incorporating the old pit wheel, commemorating the victims of the Gresford disaster. 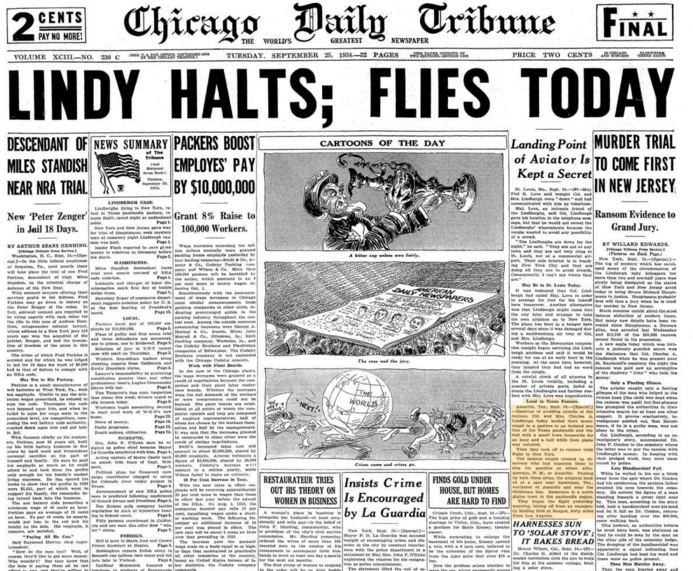 And here is a list of Science News from September 22, 1934…anything look like it could be on today’s top google search? Is America Getting a Broader Waistline? No Post today. She is wrapping up her first month of teaching in Roswell NM. Still to come she goes to the fair with a date! As I look through old newspapers, I am surprised to see how many times the name of my Great-Grandfather comes up. He was a Methodist Missionary, but seemed to get a lot of press. His name comes up regular in church news, but he also received a lot of press about the Mexican Revolution. You can tell he was well respected and also well loved by his congregation and when he passed away in 1963. I found his picture printed in the center of the front page of the Colorado Springs Gazette-Telegraph. See below. The Muroto typhoon struck Japan, killing over 2,700 people.